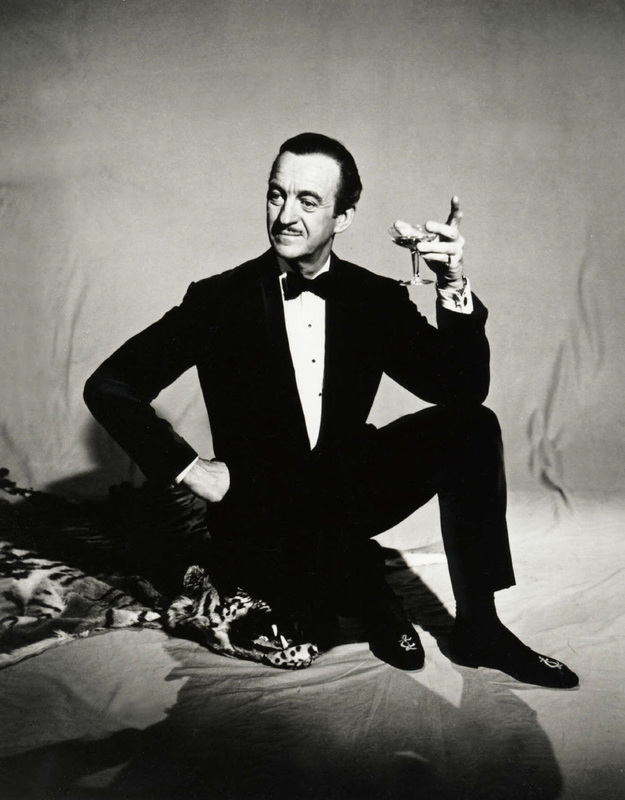 Celebrated British actor David Niven (1910-1983), who played in about a hundred movies including A Matter of Life and Death, Around the World in 80 Days and Separate Tables,was born into a military family. His father served in World War I and died at Gallipoli when David was 5 years old. His maternal grandfather was an officer killed by the Zulus in the Battle of Isandlwana in 1879. 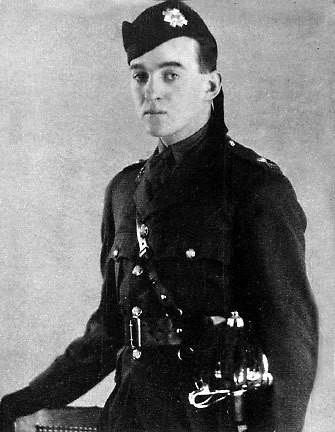 Scottish descent, he had his heart set on joining the Argyll and Sutherland Highlanders, with the Black Watch (Royal Highland Regiment) as his second choice. 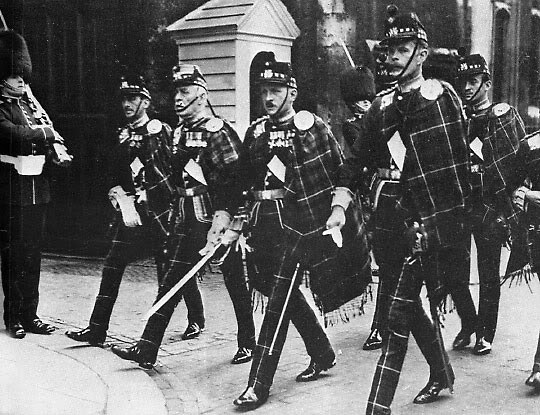 When filling in his form, he jokingly wrote “anything but the Highland Light Infantry” as his third, since they wore tartan trews rather than kilts. To his chagrin, he was assigned there. He was made a lieutenant in 1933 but considered his career to be a dead end in the peacetime army. The last straw for him was mandatory attendance at a lecture on machine guns, which interfered with his plans for dinner with a young lady. When the general holding the lecture asked if there were any questions, Niven asked “Could you tell me the time, sir? I have to catch a train.” The insubordination earned him an immediate arrest, which led to him and the officer guarding him downing a bottle of whisky. This, in turn, allowed him to escape with help from the same guard and Niven boarded a ship headed for America, resigning his commission by telegraph. After a few false starts as a whisky salesman, a rodeo promoter and cleaning and shining rifles for American hunters in Mexico, he started acting and slowly but surely became a well-known star. When World War II broke out, he returned home to serve. He was the only British actor in Hollywood to do so and ignored the Embassy’s advice to stay. 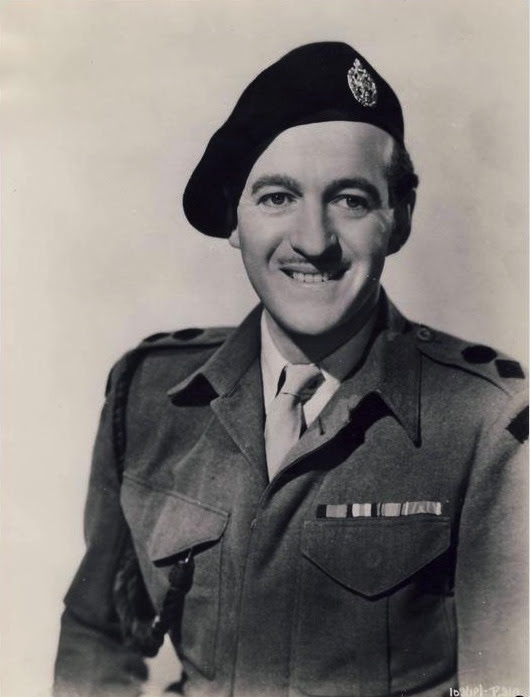 Once back in Britain, Niven received commando training and became the commander of ‘A’ Squadron in the misleadingly named GHQ Liaison Regiment, better known as Phantom, where he reached the rank of lieutenant-colonel by the war’s end. Before the Invasion of Normandy, he also acted in two films: a war drama and a biopic about the designer of the Supermarine Spitfire fighter. He was also involved in organizing Operation Copperhead, a deception operation in which an actor pretended to be General Montgomery to confuse German intelligence. Phantom was a unit born as No 3 British Air Mission during the Battle of France. Its job was to stay in forward positions and send back information about the movements of “bomb lines,” areas devoid of Allied troops and thus safe to bomb. 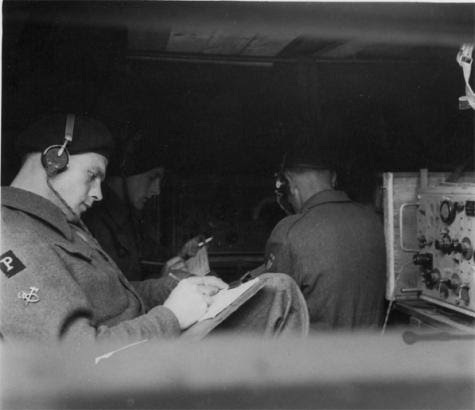 The task was later expanded: patrols of up to 11 men stayed at the front (and sometimes behind enemy lines) monitoring troop movements and listening in on Allied tank radio communications. 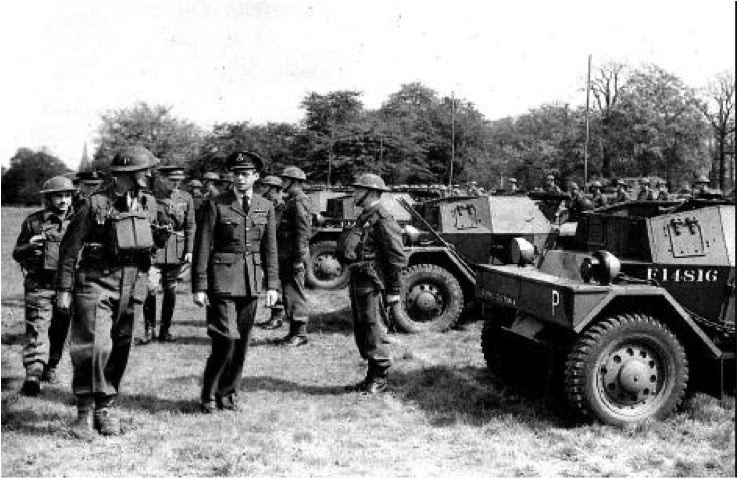 They then used small, specially-made radios to report back to Corps HQ, giving them clear and up-to-date information on the battle faster than the information could filter through any other line of command. Over the course of the war, Phantom patrols served in Africa, Italy, Southeast Europe and, of course, France. 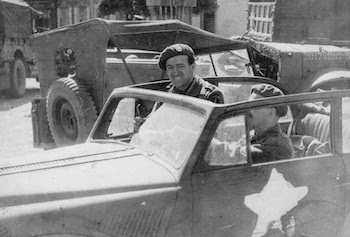 In Normandy, some jumped with the other paratroopers the night before, while the rest landed on D+1 to move around and report back on the location of all British, Canadian and American troops after the chaos of the night jumps and the first day. 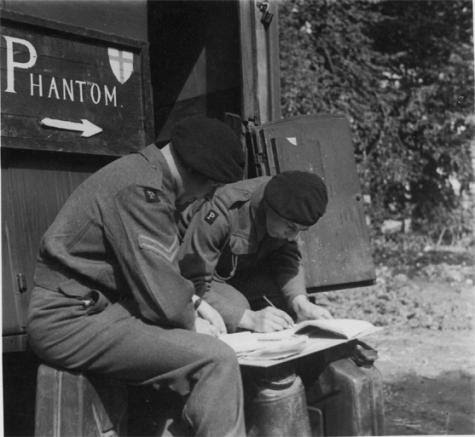 Phantom patrols were responsible for giving first news on many other events during the war. They were the first to report on the closing of the Falaise Gap, they provided some of the first information on concentration camps and they tracked the movement of German armor during the Battle of the Bulge. In fact, when American and Soviet troops linked up for the first time at the Elbe River on April 25, 1945, a Phantom patrol attached to the U.S. 1st Army was sent to the planned location in advance, witnessing and reporting on the historic moment. A few details arose about Niven from other witnesses. It is sometimes said he was “unofficially” present at the disastrous Dieppe Raid, but there is no solid evidence to this claim. What is more certain is that on one occasion, just before a fight that was likely to result in heavy casualties, he cheered up his men with a quip: “Look, you chaps only have to do this once. But I’ll have to do it all over again in Hollywood with Errol Flynn!” Later, during the Battle of the Bulge, he was stopped by an American sentry. Knowing that Otto Skorzeny’s men were in the area masquerading as Allied troops, the guards asked everyone they met questions to which only “a true American” would know the answer – and Niven, of course, wasn’t American. When asked who won the World Series in 1943, he replied “Haven’t the foggiest idea, but I did co-star with Ginger Rogers in Bachelor Mother!” at which moment the American recognized him and let him pass.